In addition to accounts for personal users, Pinterest also allows businesses to create business pages that they can use to promote their company online. These pages could be described as ‘virtual shopfronts’, allowing Pinterest users to browse items for sale on their website. And it’s big business; brand studies have continued to show that Pinterest is more effective at driving salesthan other forms of social media. As well as images, business pages can also include various data, topics and information such as prices of products, ratings of movies or ingredients for recipes. It’s free to sign up, and Pinterest users can upload, save, sort and organise images, or ‘pins’ through collections known as pin boards. Users can browse the content of others, and save individual pins to their own pin boards using the ‘Pin it’ button. If browsing a website other than Pinterest, images can be pinned to users’ pin boards using a ‘Pin it’ button that can be downloaded to the bookmark bar on your web browser. Users can also ‘repin’ pins from others on their own pin boards. Last month, San Diego hosted the “Social Media Marketing World 2015″ conference, where several social media professionals shared their expertise on established and developing trends in social media. According to the conference, Pinterest has been dubbed ‘the new Google’, due to the fact that it has a powerful search which many people actually turn to before the search engine giant. It might sound unbelievable, but the reason for this is that many people simply prefer the visual search results that Pinterest offers. Pins on Pinterest also have great longevity too, for example, if you share a pin today, it will still be coming up in search results weeks, months and even years later. As the 4th most popular social media channel in the world and an invaluable tool for driving sales, it’s never been more important to get to grips with Pinterest and start reaping the benefits. Seven Creative offer ongoing Sheffield social media management services which can include contributing to and monitoring your business’ Pinterest account. Call them today on 0114 383 0711 today for more information about how they can help you. Social media marketing can be a fantastic tool for promoting your business online and marketing your brand. Done properly, social media can generate a buzz that has the power to be seen by thousands if not millions of people. On the other hand, a post that goes bottoms up has the potential to be seen globally. Here at Seven Creative, we’ve put together a few of our favourite social media successes and fails for you amusement. Enjoy! Honda’s upside down approach to social media paid off in a big way when they offered $500 to the most active Pinners on the social scrapbooking site Pinterest to take a 24 hour break from the site to promote the new CRV. Ingeniously, they called the break a ‘Pintermission’ and then asked the winners to create a board about all the activities they enjoyed on their day off. Honda reached more than 5.5 million followers of the chosen Pinterest users with this campaign. 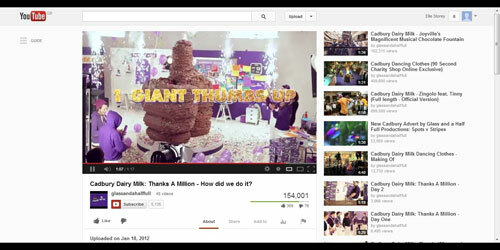 We love the chocolate Facebook thumbs up created by Cadbury too. And no, not just because it looks delicious! Constructed as a Thank you to their fans, a real time video feed of the construction process drove massive fan engagement and resulted in a huge quarter of a million people actively involved in the campaign. They also gained an extra 40,000 fans! I wonder how many more they would have gained if they’d promoted a competition to win the giant choccy hand??! McDonalds dropped a real clanger with their social media activity which resulted in their campaign being terminated within just two hours. Using the hashtag #McDStories, Twitter users were ‘supposed’ to share heart warming anecdotes about their McDonalds experience. Instead, tweets about food poisoning, fingernails found in burgers and chicken nugget horror stories went viral. Well, we could have predicted that! American Apparel’s Hurricane Sandy promotion backfired spectacularly after it offered customers 20% in an email stating “In case you’re bored during the storm, 20% off everything for the next 36 hours.” In reality, those 36 hours turned out to be devastating, with more than 130 deaths, 4 million with no power and billions in damage. American Apparrel apologised saying the campaign came from a good place. Too late, damage done! If you’re struggling with social media, and would like some advice on setting up and or managing your businesses social media accounts, Seven Creative can help. We offer a social media set up service, social media management packages, and even regular social media workshops in Sheffield. Contact us on 0114 383 0711, email chris@sevencreative.co.uk or contact us through our website. Since holding our very first search engine optimisation and social media workshops last week, we’ve been thrilled to receive some fantastic testimonials from those who attended. “Thanks very much for the information I gathered at the social media review last week, I must say I came along with the usual reservations that you have about whether the whole thing might be very ‘techy and geekified’ and not relevant to our market, but it was brilliant. Excellent practical advice that was superbly delivered and will be a benefit to me in my day to day work. I really got a great amount out of the day. The training was excellent; I would highly recommend Seven Creative to others. “Thankyou for inviting me along to one your internet marketing seminars, it was very enjoyable and informative, and done in such an informal way that I’m sure put everyone who attended at ease, whether computer literate or not. After listening to your team it soon became apparent, not only how much opportunity social media can offer companies in gaining new business, but also how well Seven Creative understands these markets and how to use them to your clients’ advantage. Don’t forget, we’ll keep you posted on future social media and search engine optimisation workshops in Sheffield – watch this space! If you would like to find out more about our social media management packages or our SEO packages, please call the Seven Creative team in the office on 0114 383 0711 or contact us via our website. If you’re wondering whether dedicating time and effort to social media is really worth it, this new research may just make your mind up! The Harvard Business Review recently published a great article about social media that we think all Chief Executives and Managing Directors NEED to read! The latest report from CEO.com and business intelligence firm DOMO has confirmed our view that social media is more pervasive than ever among consumers. In fact, a whopping 50% of the population currently uses Facebook and more than 37% use Twitter. The report found that among Fortune 500 CEOs, only 7.6% are present on Facebook, only 4% use Twitter, and less than 1% use Google Plus. However, there is evidence that this may be changing. 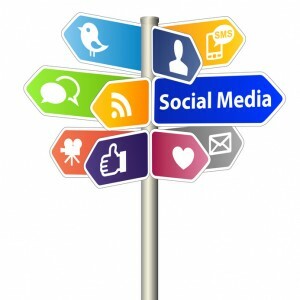 A recent survey conducted by IBM found that out of 1,709 CEOs, only16% used social media. The study predicts this figure may grow to 57% within 5 years and that social media will become one of the two most important forms of engagement with employees and customers, second only to face to face interactions. Thankfully, Managing Directors and Executives are finally recognising what the team here at Seven Creative already know – using social media to communicate and engage with customers, suppliers and their own employees, means their company will be more adaptive, agile and of course, more successful. 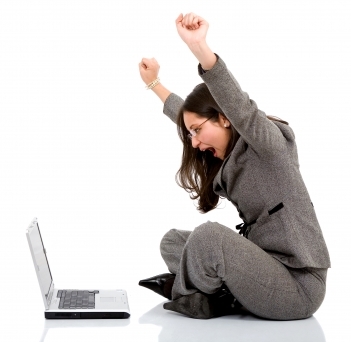 As experts in social media, we value the many advantages of using social media very highly. And we receive ongoing confirmation from our customers that our management of their social media channels generates more business, provides access to potential customers, and provides effective communication channels for existing customers. Using social media is so effective in fact, that The BRANDFog 2012 CEO Survey found that more than 82% of respondents are likely or much more likely to trust a company who engage in social media. The study also reports that 77% of respondents are likely or much more willing to buy from a company whose mission and values are defined through their involvement in social media. Here at Seven Creative, we agree that social media is vital for business. It will give your business a strong potential competitive advantage, not only by providing communication channels, but by boosting traffic to your website and increasing sales. But what if you don’t have time? What if you’re busy running your business? We understand social media marketing, and we know that using it in this dynamic, complex and ever-evolving marketplace requires knowledge and experience. Seven Creative are experts in the field, and we can offer you a full spectrum of social media integration services. In other words, we can do it for you, and therefore remove the time and the hassle that social media can become if it’s not managed correctly. And to keep you in the loop, we’ll let you know exactly what we’ve done in regular reports, proving to you that we’re getting results! For more information, contact us through our website or visit our Facebook page!